I believe that by offering Quantum Touch Healing as well as Reiki from my London treatment rooms, I can provide even more support and healing for my clients. Quantum Touch Healing is a method of natural healing that works with the Life Force Energy of the body to help stimulate a person’s wellness. This Life Force Energy, which is also known as ‘chi’ in the Chinese culture, is the flow of energy that maintains all living beings. 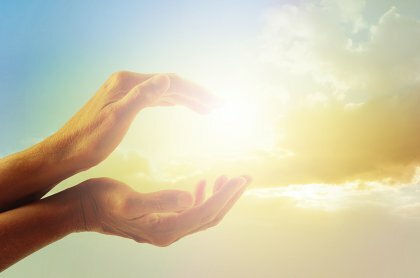 Quantum Touch teaches us how to focus, amplify, and direct the energy, by using a range of special breathing techniques and body awareness exercises which provide surprising and astonishingly beneficial results. Quantum Touch uses resonance and entrainment to accelerate the healing process. When I have a client, I will raise my vibration by using the breathing techniques and body awareness, and the client’s vibration will either come up to meet my level, or we might meet in the middle, and that is when the healing can begin. Supports the healing of burns…..
Quantum Touch Healing, has been accepted by a wide range of clinical professionals such as doctors, chiropractors and physiotherapists as being able to help support a patient’s recovery alongside other treatments.